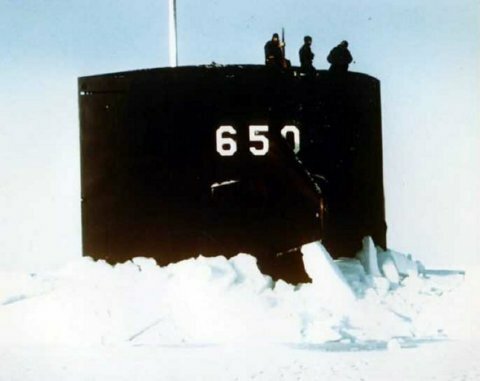 The second Pargo (SSN-650) was laid down 3 June 1964 by General Dynamics Corp. Electric Boat Division, Groton, Conn.; launched 17 September 1966; sponsored by Mrs. James L. Holloway, Jr.; and commissioned 5 January 1968, Comdr. Steven A. White in command. Assigned to Submarine Development Group 2, with a homeport of New London, Conn., her primary wartime mission is to detect, track and destroy enemy submarines. She combines the endurance and environmental independence of nuclear power with deep submergence, high speed, quietness, and the most advanced weapons and electronics capabilities. These characteristics make her one of the Navy's most effective anti-submarine warfare weapons. After acoustic trials and a restricted availability at Groton, Conn., Pargo participated in the search for Scorpion (SSN-589) 27 May to 7 June 1968, and spent the rest of the year conducting various trials in the Caribbean and off New London. As of 1970 the second Pargo is still operating with the U.S. Atlantic Fleet.